That moment, some call it the "Zero" moment, when someone decides they want or need something is key to so much of marketing and sales. And as much as technology changes buying behaviors (how people collect and evaluate information and vendors) it doesn't change the emotion of buying. Sure it may magnify wants, desires, FOMO, etc - but someone still has a personal rubicon which they cross as a consumer and a business buyer, when they decide they "want" or "will." While buyers have that anchoring moment, marketers aren't similarly anchored. 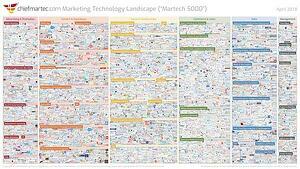 If you're familiar with the MarTech Landscape (2018 here) you'll empathize with the urge of marketers to constantly pursue SaaS app nirvana. After all, somewhere in the 6,300 apps there must be a couple that would empower amazing results. The explosion and fluidity of technology has created an analog fluidity in tactics. Most marketing activity today is hyperkinetic - bouncing from trend and priority to trend and priority at a frenetic pace. Some of that is a quixotic quest for an app that will solve strategic, structural and philosophical problems. While some of it is a legitimate effort to meet buyers where they are in the ether and expectations. But it all overlooks the fundamental fixed point of the buying journey. For all the time, money and effort spent monitoring prospects' interactions with our sites, content and social, what if we focused on identifying their "Zero Moments"? What if we knew when they first took action that indicated they were probably going to buy what we sell or solve a problem which we address? And what if we were able to screen everyone taking those actions anywhere on the internet to find only those that match our ideal buyer profile (title, company size, industry, geography)? Of course that would mean we'd identified the real prospects on whom we should focus our marketing and sales efforts. Would they be waiting with orders written and credit card out? Of course not. We'd still have to follow our proven sales process just as with any lead that comes to a trade show booth or website and says "We've got budget approved and want to buy XYZ this year." But we'd know who's experienced that trigger; who's had that zero moment. That's precisely the point of buyer intent data. Just as someone taking action on residential real estate ads might be a likely candidate for a mortgage, someone taking action on industry news and competitors in your industry is likely a candidate for your product or service. That's pretty obvious - and it's possible. While there's lots of purported buyer intent data in the market that relies on IP addresses and functionally misleading representations of who might have searched from a given location (just happens to assume that it was your target buyer profile without any way of knowing that! ), some provides the full contact details of the actual person taking the action. But, it's not a panacea. These are the prospects that you've always told yourself you'd rock...if you only knew who they were. Now you can...and now with that knowledge you can test your marketing, nurturing, and sales skills. either your marketing and sales need improvement, or you're pursuing the wrong market. Neither are welcome news, but both insights provide the opportunity to improve. On the other hand implementing buyer intent data could yield two other outcomes. In one, your capable and comprehensive marketing and sales would absolutely rock when you focus on these prospects who are actually actively researching. The other, might be that you don't see a demonstrable difference in results and you attribute that to the data. Remember, these are people who are taking action that you believe indicate they are actively searching for products/services/solutions/outcomes that you deliver. Wouldn't the opportunity for introspection be more important? What's the most valuable impact of buyer intent data? I'll leave that to you to decide. Certainly at one level it's access to an incredible list of prospects that have taken actions demonstrating triggers. 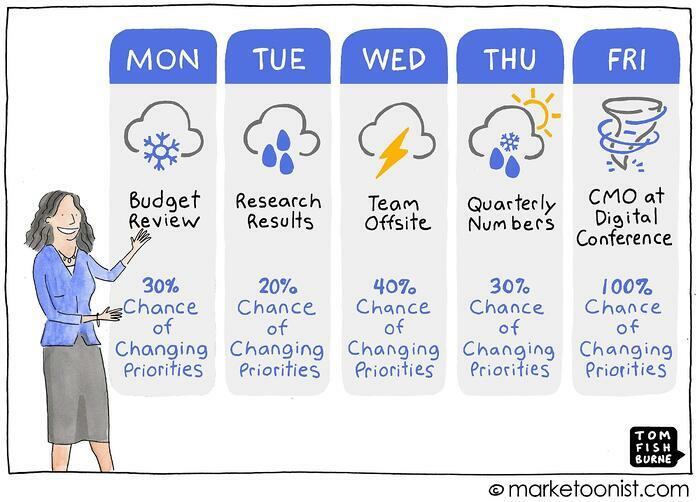 But perhaps even more powerful, in a world where marketing priorities change daily and the latest app drives reactive changes, the ability to validate your market and improve your sales and marketing by measuring against a control group might be even more compelling.